Kimchi fried rice is one of my favourite lunches which I bring to work or have on relaxing weekends. It's super easy to cook and fast too since most of the ingredients are ready. Add the rice, kimchi juice and chilli paste. Stir until even. Make a hole to add the egg. Make sure you don't pour the egg on the rice or else it will become soggy. Stir constantly and mix with rice. Transfer into bowl and add topping of your choice. I chose MORE KIMCHI! Thanks for sharing this recipe. 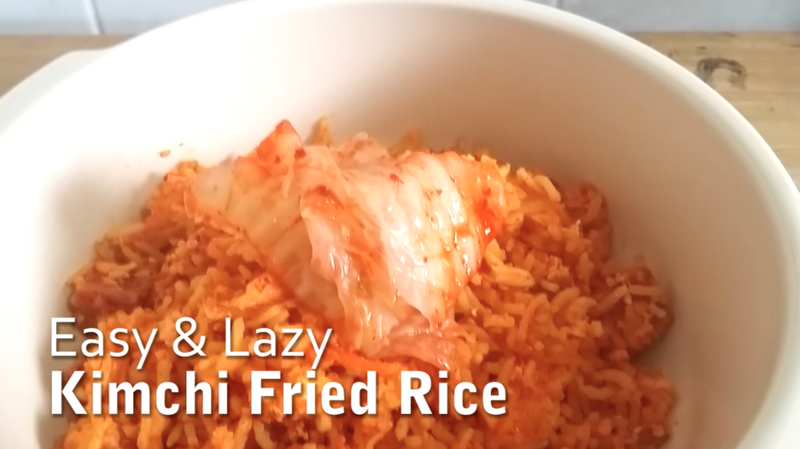 Never thought about frying rice with kimchi! Can try it tomorrow as I am free on Sunday. sound easy to make. i love eat kimchi always go buy to keep fridge then eat with rice. I love kimchi, have not tried making my own fried rice, thanks for the recipe. Will try it out.